(CBS/AP) LOS ANGELES - Police arrested a California man Thursday morning after he allegedly poured flammable liquid on a 67-year-old homeless woman as she slept on a bench in the San Fernando Valley and then set her on fire. Dennis Petillo, 24, was arrested shortly after the attack when a witness called 911. He was booked for investigation of attempted murder and was held on $500,000 bail. The assailant "just poured it all over the old lady," the witness, Erickson Ipina, told reporters. "Then he threw the match on her and started running." Police released no additional details on Petillo. The victim's name was also withheld. LAPD Deputy Chief Kirk Albanese told the Los Angeles Times it was unclear whether attacker spoke to the woman before allegedly setting her ablaze. "There was no incident or dispute or clear motivation for this horrific attack. He did not know his victim. It defies explanation," Albanese said. "He is not of sound mind. ... The motive is mental illness." 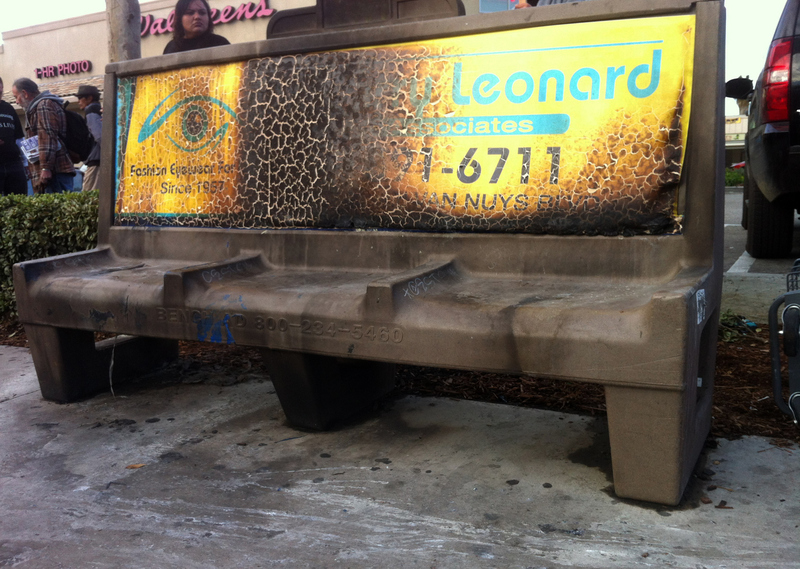 The attack shocked nearby residents, and about a dozen people held vigil around the charred bench later Thursday. They also urged motorists to honk their horns in support of homeless rights. One sign placed on the bench read, "Our Prayers to Violet," believed to be the victim's first name. Tej Deol, 31, who resides at a nearby sober living house, said the woman made the bench her home and often could be found sleeping there after sundown. He said he saw her Christmas Eve, getting ready to eat some soup. "I told her, `Merry Christmas and happy New Year,' and she said she was doing good," Deol said. "She was so kind. She was happy to have someone talk to her." Robert Wyneken, 75, who volunteers at a nearby church, called her the "sweetest lady on the street" who supported herself by recycling cans and didn't like to panhandle. He said there were efforts to get her housing and in contact with family, but she wouldn't have it. "I just think she had something in her life where she wanted to be alone," he said. "She didn't want to be a burden to anybody."